Find temporary van insurance. If you need temporary van insurance we have policies offering daily van insurance and monthly van insurance. You need cover to drive away a van immediately. Maybe you have bought a van and need to drive it home - temporary car and van insurance allows you to drive straight away. You need to add temporary additional drivers. Add an additional driver on your van or enable your van to be driven by someone else using temporary van insurance. Ensure your no claims bonus is safe. If you are lending your vehicle to someone else do not put your own no claims bonus at risk, especially as it will be an unfamiliar vehicle for them. Take out a temporary van insurance policy and you are covered. If you have a friend who owns a van, borrowing it can be a lot cheaper than hiring - but don't risk their van or their insurance policy - take out your own temporary van insurance policy instead and ensure friends remain friends! Want to demo or test drive a van? - Use temporary insurance to allow you to test drive a vehicle you are thinking of buying. Both new and second hand vehicles can be covered. 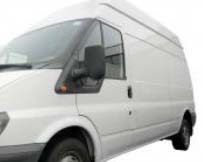 If you want to hire a van there is even an insurer who offers van insurance for hired vehicles. Different companies do appeal for different circumstances - so here are a few considerations when you are searching for a temporary van insurer. Flexible policies offering cover from just 1 day up to 28 days. Ideal if you need to borrow a van for a weekend or want to borrow one while yours is off the road. Insurance quotations from Day Insure are provided online only. Again Insure Daily offer instant comprehensive temporary van insurance policies for driving a van from 1 day up to 28 days, and unlike other similar insurers they can also cover hired vehicles, although these are subject to a higher excess in the case of accident or theft. Drivers need to be aged between 19 and 75. Policies are available from 1 to 28 days as long as the vehicle is worth at least £500, hasn't been modified, has no more than 5 seats, and is registered in Great Britain, Northern Ireland or the Isle of Man, Temp Cover will insure you if you have a clean (less than six penalty points in the last three years) UK driving licence (or any other recognised driving licence) held for more than a year and haven't been disqualified from driving in the last five years. Looking to cover a van for 3 months or more? Our Van Insurance Panel includes a great range of companies specialising in van insurance. If you are looking to insure a van for some months it can be cheaper to take out a standard policy but then cancel it when it's no longer required. However there will be cancellation fees involved and it's unlikely the price will be calculated prorata directly. Run a quotation and then contact the company(s) that suit your needs and identify what the cancellation costs would be. Lastly do consider renting a van instead - it might be cheaper! Try our van hire comparison service for great rates, and don't forget - before you pay for expensive excess insurance at the Van Rental station we also offer that cheaper through our Van Hire Excess Insurance comparison service.